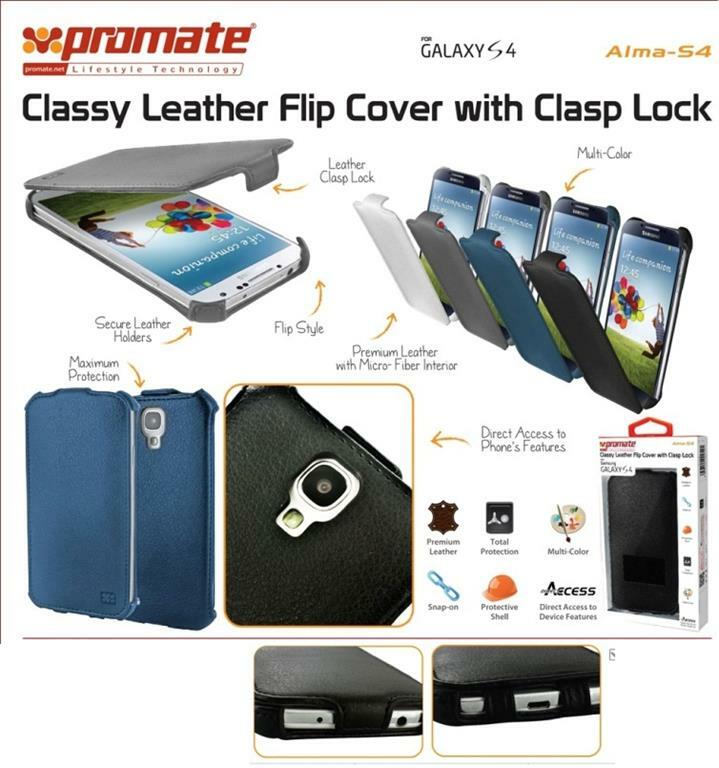 The Promate Tama-S4 Elegant Book-Style Leather Flip Cover for Samsung Galaxy S4 is inspired fully by multifunctional and practical usage of your Galaxy S4, Tama-S4 will grab your attention from the first look. 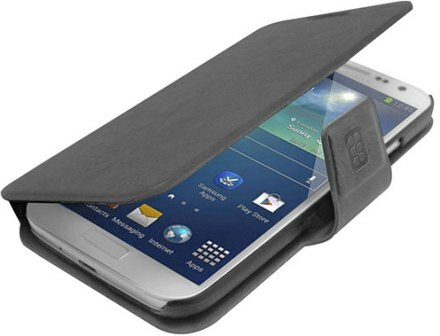 The inner shell holds your Galaxy S4 Securely, gently protected by the book-style front cover with magnetic lock. 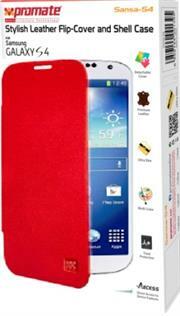 Tama-S4's inner card slots allow you to use even more of your phones features. You can choose from a variety of colours with a vertical reading or horizontal viewing options on your screen, for watching movies, talking on the phone or simply playing interactive games. 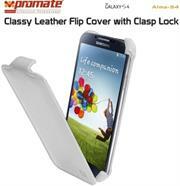 The Promate Sansa-S4 is an attractive leather flip cover with a hard shell rear casing for Samsung Galaxy S4. It has a tough snap-on protective back shell that replaces the original back case of the smartphone and with attached high quality leather hinged to cover the front. 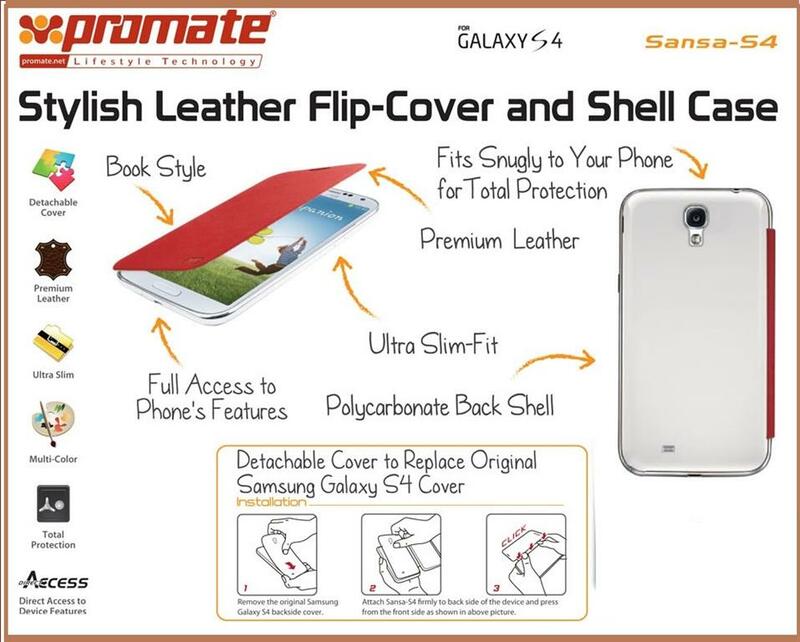 Made from high impact polycarbonate plastic shell and leather cover, the Sansa-S4 protects your phone from everyday knocks, scuffs and scratches, yet still allows you complete and unfettered access to the phones main functions. 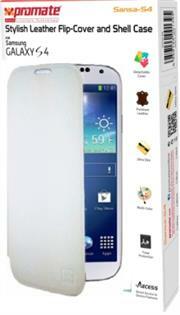 •Form fitted and fixed snugly on the Galaxy S4. 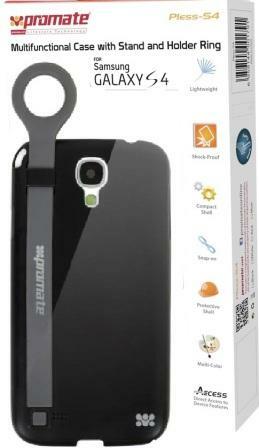 The Promate Pless-S4 is a trendy multifunctional case designed for Galaxy S4. While protecting from daily knocks and scratches, Pless-S4 is enhanced with a special silicon wrap placed the back of the phone, which offers optimum functionality. 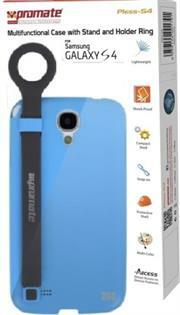 Use the holder ring on top to conveniently carry your phone at all times, without a chance of dropping it. 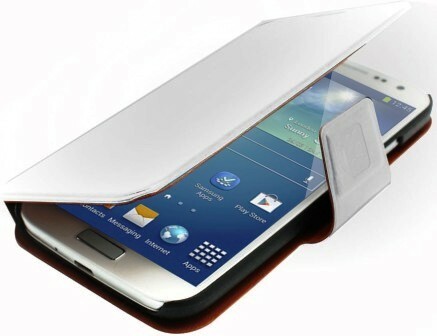 Simply convert the wrap to a stand and try the various viewing angles. 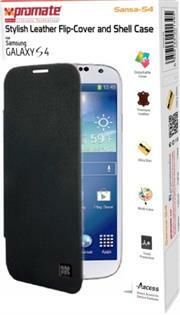 Pless-S4 is a truly functional case, which helps you get the best of your GALAXY S4. 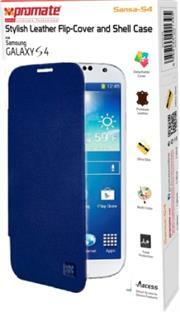 Choose from a colour that satisfies you and experience the possibilities. 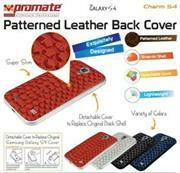 Show off your signature style with the Promate Cameo.S4 Drip Patterned Flexi-Grip Snap On Case, , a sleek case for your Samsung Galaxy S4. Combining luxury with ultimate protection, this fitted flexi-grip snap on case is covered with an easy-to-grip back surface that is richly printed with a modern abstract design. Pleasing to touch, this lightweight and durable custom case allows optimal access to all sensors, ports, and controls on your Samsung Galaxy S4, while offering superior comfort. 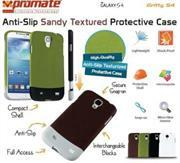 Don’t sacrifice style for protection. The Promate Charm.S4 premium patterned-Leather Back Cover for Samsung Galaxy S4 is an exquisitely designed leather cover that provides protection against scratches due to accidental drops while at the same time looking charming and stylish. 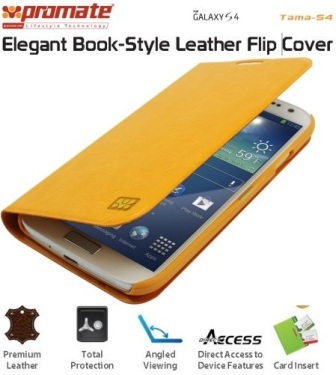 The super slim lightweight leather cover is custom designed to easily replace the back cover of your smartphone without adding any extra bulk. Available in an exquisite range of colours that match your style. The Promate Zimba-S4 is a uniquely designed premium book-style leather flip case. 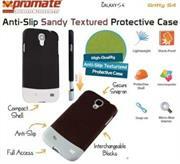 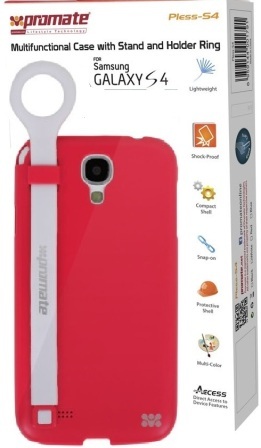 It provides total protection for your smartphone with improved functionality. Fitting snugly on Galaxy S4's inner shell adds versatility to the case and lets you access all the external features while the phone is securely held in place. 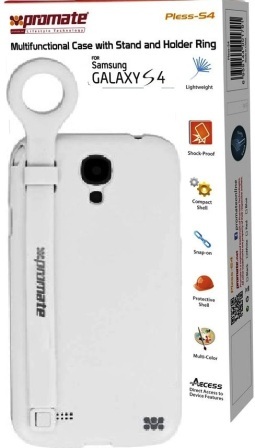 The additional card insert functionality is suitable for holding credit or other cards in place.A magnetic leather fastening shuts case when the smartphone is not in use and provides overall protection for a long term operation and mobile usage. 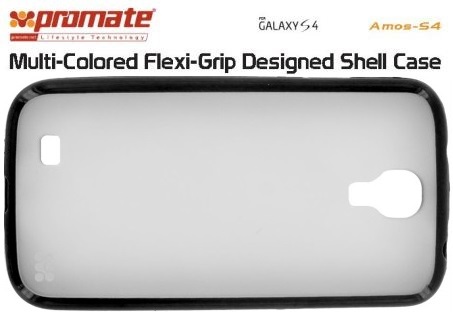 The Promate Amos-S4-Multi-Colored Flexi-Grip Designed Shell Case for Samsung Galaxy S4 is a newly designed case to fit perfectly the Galaxy S4 with easy snap- on shape. 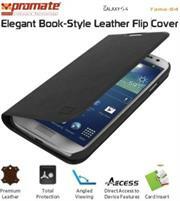 Ultra-light and fully flexible, protecting your smartphone form daily scratches and scuffs, Amos-S4 is the case that will meet everybody's expectations when it comes to design and practicality. Coming in multi-colour collection and featuring full access to all the phone's ports, Amos-S4 is the case for all. 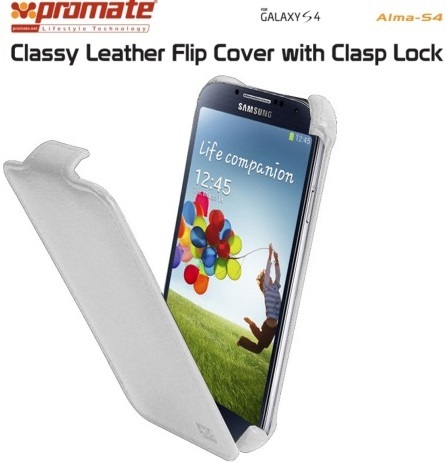 The Promate Alma-S4 is a simple, yet classy and smart leather flip cover for Galaxy S4. The vertical flip provides sophisticated look which also protects your phone and lets you access the Galaxy S4's external features whilst ensuring that the phone is held securely in place by its leather side holders. 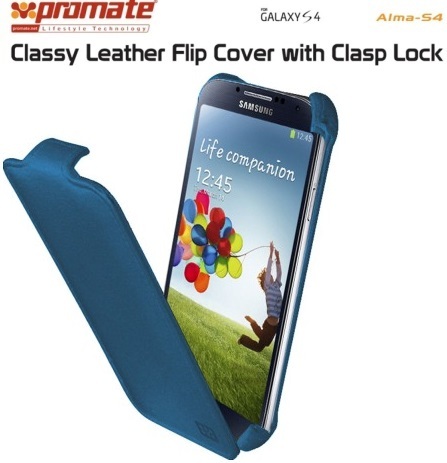 The leather clasp lock secures the flip in place and covers the smartphone when not in use, adding versatility to Alma-S4. 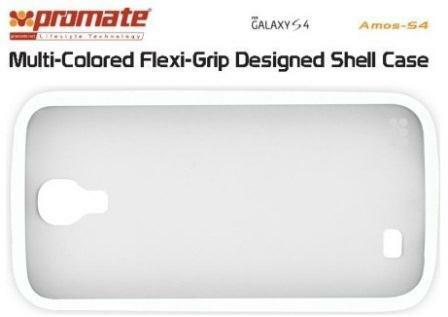 The Promate Amos-S4-Multi-Colored Flexi-Grip Designed Shell Case for Samsung Galaxy S4 is a newly designed case to fit perfectly the Galaxy S4 with easy snap- on shape. Ultra-light and fully flexible, protecting your smartphone form daily scratches and scuffs, Amos-S4 is the case that will meet everybody's expectations when it comes to design and practicality. Coming in multi-color collection and featuring full access to all the phone's ports, Amos-S4 is the case for all.